Explore Hanauma Bay with an experienced scuba instructor after learning about scuba diving and practicing a few skills in shallow water. 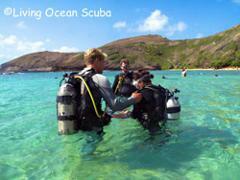 Try Scuba Diving - No Experience Required! This scuba diving trip heads out for two amazing boat dives. 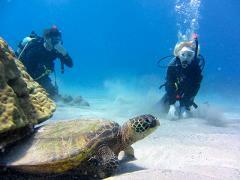 Swim with Sea Turtles and Schools of Reef Fish in our Beautiful Hawaiian Waters.